Nestled in the South Downs National Park, our peaceful, family campsite is located on our working Organic egg farm. As a family, we are so passionate about what we do and love being able to open up our farm and share it with you. We live in such a busy world and it has never been so important to be able to switch off and just simply enjoy being outside and spending quality time together. We have three beautiful fields for you to choose from that are perfect if you are wanting to escape and lose yourself in the Sussex countryside. We are only open for 28 days of the year so be quick to book your spot! As you may know, farm, food and environmental education is at the heart of what we do, and we love being able to share that with you during your stay with a range of activities and experiences. Check out what your stay with us would look like below! 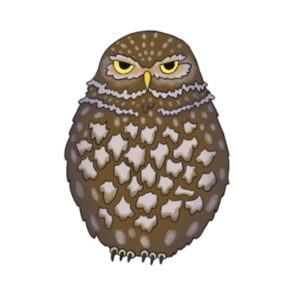 Little Owl Field consists of 30 pitches and is located near the bottom of our farm. It is a beautiful space surrounded by grass and trees. It is perfect for anyone who is looking for a more relaxed feel but ideal for groups of families and friends who want to get away together. 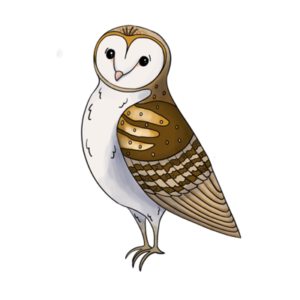 Barn Owl Field consists of 25 pitches and is located at the top of our farm. It is a perfect space for families and couples who want to get away and spend some quality time together. We let the grass and wildflowers grow long and only mow in pitches and interconnecting pathways. This gives you plenty of space and privacy, as well as keeping our beloved wildlife safe. Imagine being able to enjoy everything you love about camping without having to actually set up your own tent! 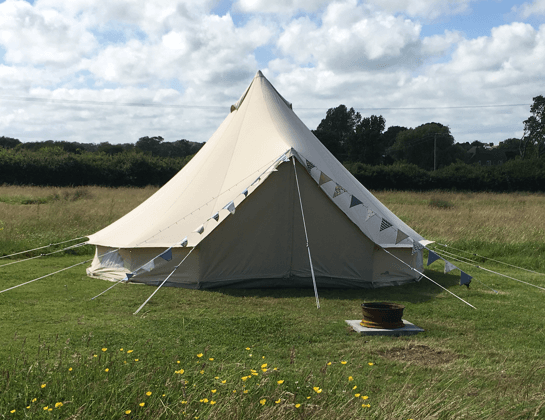 We have 8 beautiful bell tents available for those who want to avoid the challenge of the tent erection. We will set your bell tent up for you before you arrive and take it down for you after you have left. All you need to do is bring you bedding and your bits and bobs to make yourself comfy. This means that you have more time for relaxing and enjoying what the farm has to offer. These are available to hire at the time of booking. Please note that our bell tents come with the ground sheet attached. We do not provide anything inside the bell tent. Having a campfire is such a memorable thing to do and it is something that we encourage! 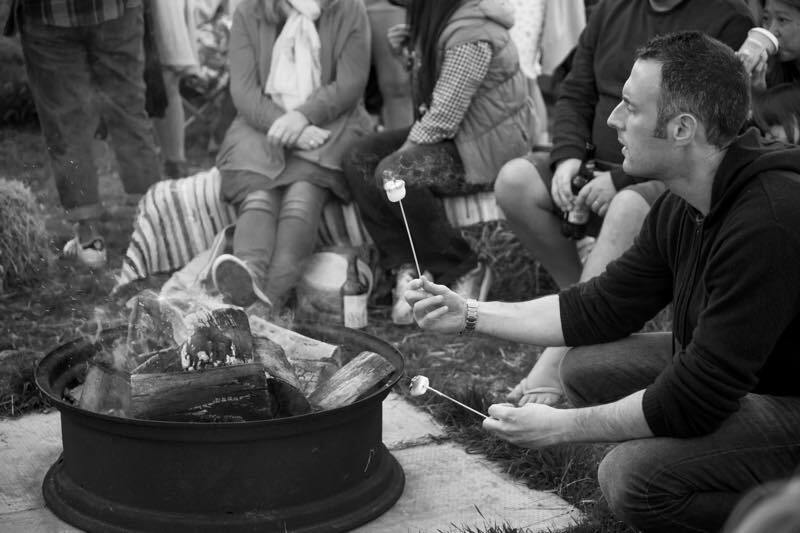 No matter whether you use it to cook your eggs in the morning, toast your marshmallows after dinner, keep warm as the sun goes down or even share stories around it into the evening, it makes your camping trip extra special. We have put together our very own wood boxes for you to purchase either at the time of booking or on site when you arrive. It has everything you need to use your fire pit. All of our camping fields are completely car free! 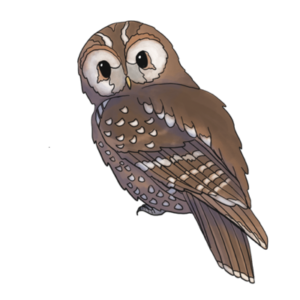 We love this as it keeps our farm looking beautiful, it takes care of our beloved wildlife and makes sure that our campers are completely safe. 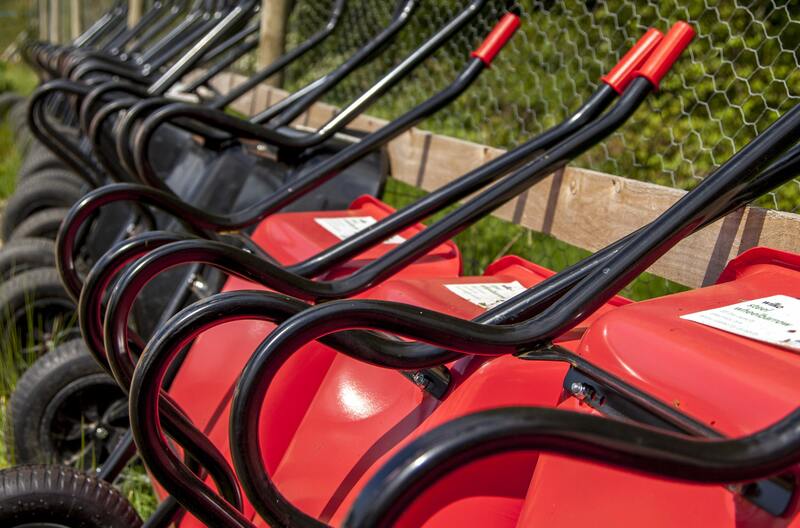 We provide wheelbarrows for you to use on your arrival to take all of your bits and bobs over to your pitch. 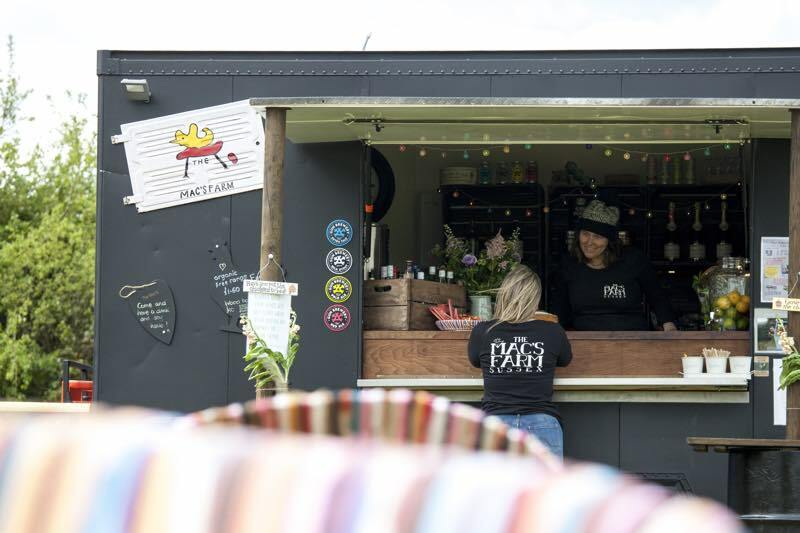 Located in Barn Owl field, The Mac Shack is where we celebrate local producers! We have local sparkling wine, beer and cider as well as proper coffee, tea, hot chocolate and soft drinks. We also have the most amazing, homemade cakes and savouries available- all made with our very own organic free range eggs. The Mac Shack will be open during certain times throughout your stay with us and has quickly become the soul of our campsite! 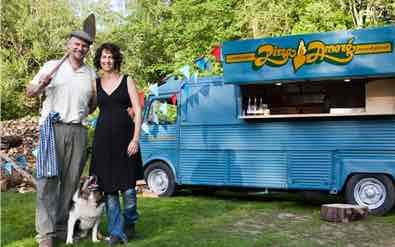 On the Friday night of your stay, Andy from Pizza Amore will rock up in his classic Citroen van and make the most delicious, authentic wood fired pizzas for you to tuck in to. He is so passionate about good quality food and thrives in sharing his love of real pizza with our campers. Until you have tasted one of his creations you will have no idea how good they are- we can’t stop eating them! He will be around from 5-9pm on Friday night, so just rock up when you are hungry! Please note that Andy will not be joining us on Friday 26th July but there will be another form of delicious food available for you to enjoy! Every weekend, Deano Mac opens up The Snake Shack for our campers! 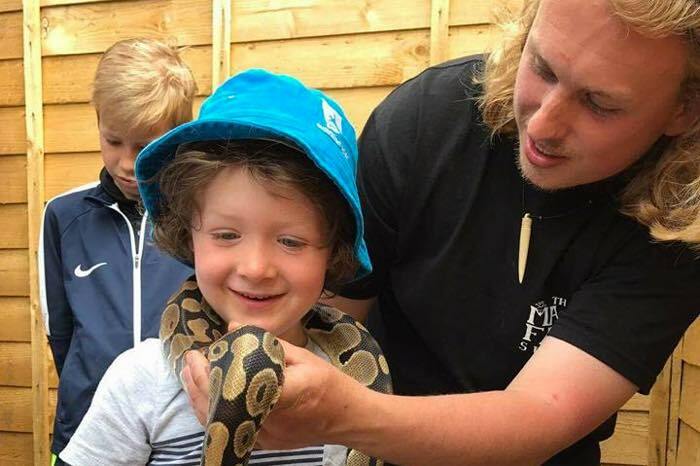 You will get a chance to learn about, meet, handle and feed rescued reptiles, amphibians and creepy crawlies from all over the world in a wonderful and interactive setting. There will be a sign up sheet for Snake Shack sessions when you arrive on site. Tickets are £2.00 per person. The Outdoors Project is an award winning outdoors adventure club for kids and we are so lucky that their base camp is right here on the farm! 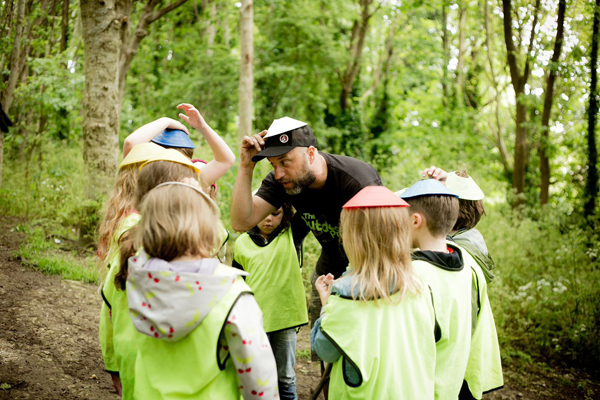 Every Saturday throughout the camping season they will take your over 6’s off to explore, learn and take part in outdoor adventures. Tickets for these sessions are £7.50 per child. Payment will be taken online at the time of booking your camping weekend with us. Please note that this is for children over the age of 6 only. We are so excited that The Outdoors Project will also run additional sessions across the Saturday of your stay, each one focusing on a different outdoor activity. These additional sessions will be available to book nearer the time of your arrival. Meet the Chickens and Pick Your Own Eggs. Every camping weekend, you are able to wander our foot paths and spend time with our girls. We have put together a farm trail that will take you around the farm with signs to direct you. We will hold a meet the farmer session which will give you the chance to see how your food is produced and we will answer any questions that you may have. You can also have a go at picking your own fresh organic eggs to take home with you, direct from one of our chicken sheds. 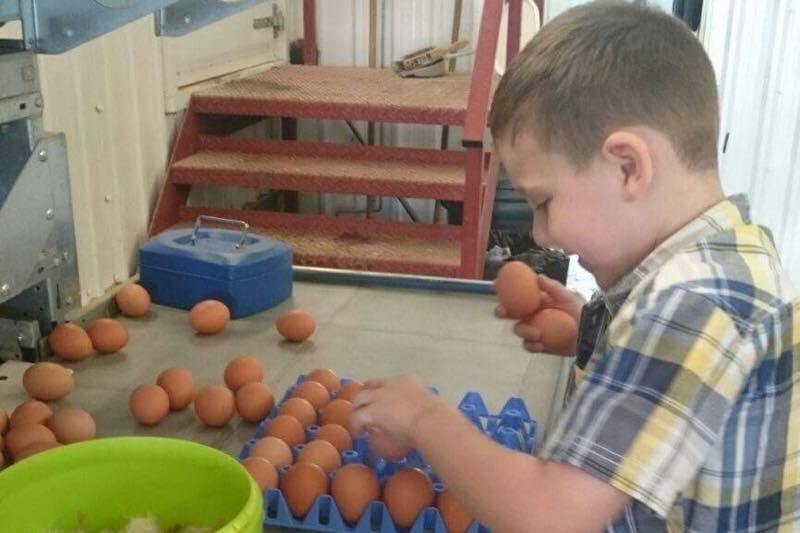 Picking and purchasing your eggs is optional. Further details will be given nearer the time of your stay.